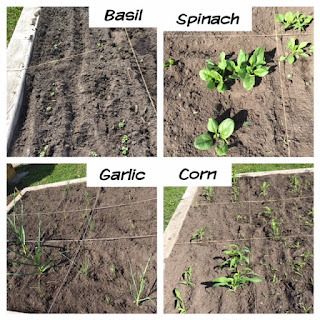 2018 School Gardens are Growing! 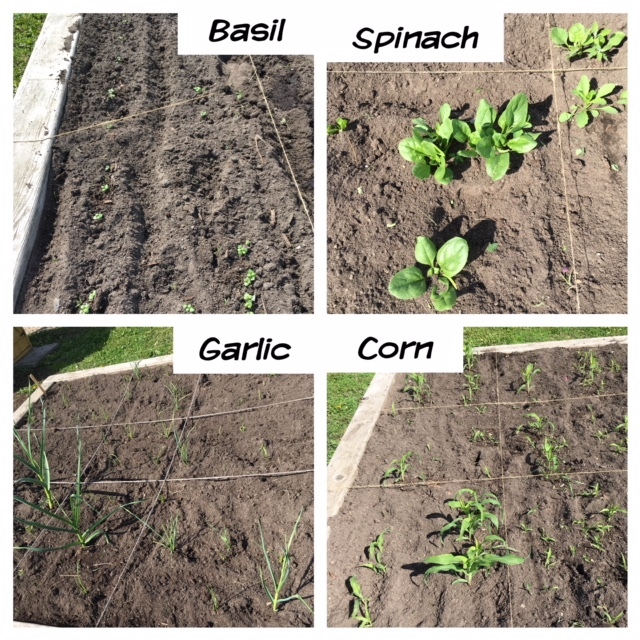 We're off to a decent start this year with most of our crops planted with students about 1 month ago. We've had some hiccups again with our water source again which meant that some seeds didn't get the water they needed at the beginning - and I think we're seeing the evidence of that now. 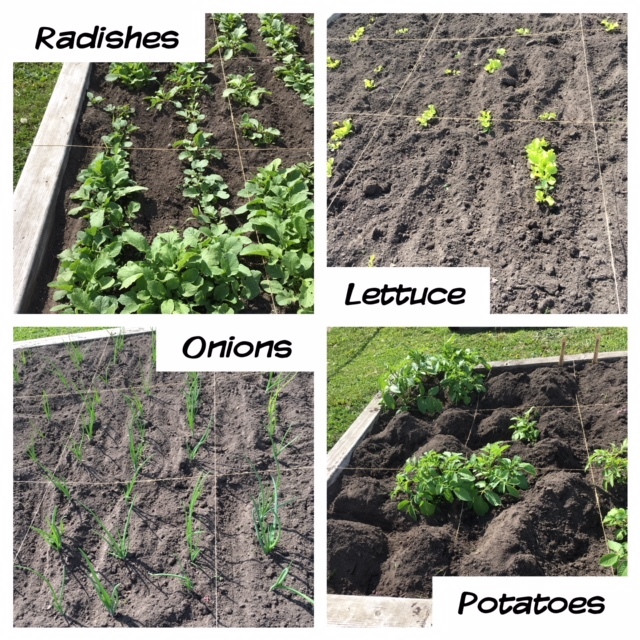 The spinach, lettuce and carrots are having a hard time but other crops like potatoes, onions, garlic and radishes are doing well! When we did our planting day with students, we talked about three things that seeds need to grow into plants - soil, sun and WATER. While mother nature has helped us out in the water department, this is proof that we really do need water to help our crops grow! We'll hopefully be harvesting the radishes before the students leave in 12 days and we'll plant another round of corn to be ready in the fall when everyone returns. We're doing an experiment with the potatoes again. 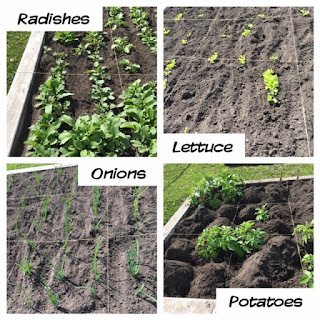 We're covering up some of the greens with soil to see if we can yield more potatoes that way - you'll see that in the picture below or if you check out the gardens in person.